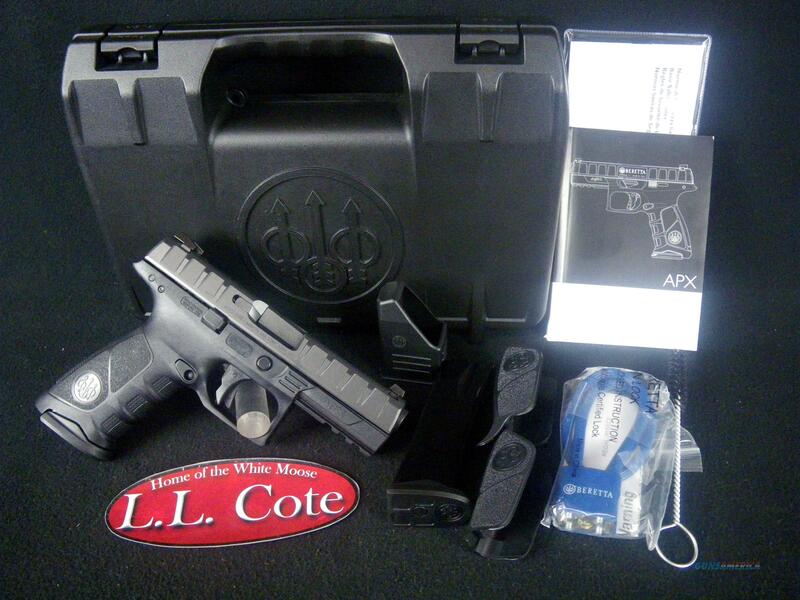 Description: You are bidding on a Beretta APX in 40S&W with a 4.25" barrel. Designed specifically for military and law enforcement operators, the APX has been put through extensive testing and evaluation at the professional end user level. The result is a pistol that delivers superior performance in durability and reliability, ergonomics, trigger, and modularity. Utilizing a removable, serialized chassis frame, the APX can be easily modified with replaceable grip frame housings and is simple to disassemble and maintain. The APX’s trigger breaks at 6lbs and has a clear tactile and audible very short reset. The APX truly is the ultimate striker fired pistol from Beretta. Displayed images are stock photos. Any questions please feel free to ask (our phone number is in the additional information tab above).